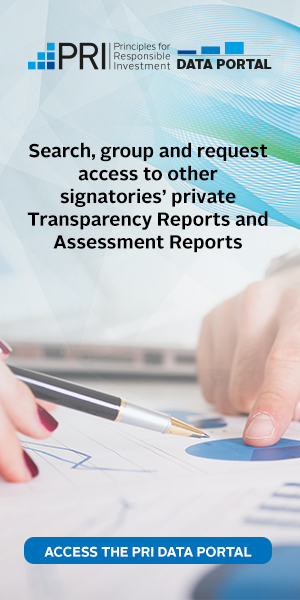 PRI signatories, committed to reporting on their own activities via the Reporting Framework, have signalled support for increased signatory accountability, including further measures to verify information reported to the PRI. Discussions on what we collectively refer to as confidence-building measures (CBMs) have become a common theme thanks to the PRI’s differentiation and accountability consultation in 2016, the PRI Board’s subsequent high-level response to the consultation findings, and the recommendations brought forward by the independent report From Principles to Performance. Concurrently, against a backdrop of increasing usage of ESG and other extra-financial data (sometimes referred to as ‘non-financial’) from both investors and companies, there are debates over the quality and veracity of this information. Investor expectations for disclosure, especially by asset owners from their investment managers, are increasingly expanding to include ESG information, such as responsible investment processes and ESG characteristics of portfolios. For this information to be incorporated into investment decision making such as investment management selection, it is critical that the information is consistent and reliable, particularly for investors to accurately report on their own impacts. Therefore raising quality control will help elevate the consideration of ESG data to the same level as financial information. In June 2016, the PRI published PRI Signatories and Assurance, research mapping the various assurance and CBMs taken by signatories in the 2014/15 reporting cycle. A number of technical difficulties with assuring ESG information were identified, with a major impediment being the lack of clarity as to what constituted assurance within the context of ESG reporting, and a lack of standards on RI to assure against. The programme is a combination of research on current market practices, a review of best practice and possible solutions to be implemented for PRI reporting. This encompassed analysis of CBMs reported by signatories during 2017, as part of their PRI reporting commitments. The AWG members are a mix of PRI signatories, industry bodies and assurance providers. To read the full list of working group participants and the terms of reference, please visit the PRI website. Internal verification by senior staff, the board, a particular department or a working group of ESG information before the submission of a signatory’s report to the PRI is the most basic common type of CBM implemented. Obtaining third-party assurance over financial disclosures is common practice among investors, as it is a regulatory requirement in most markets. How does the PRI Reporting Framework lend itself to external assurance? The AWG conducted an exercise on how appropriate the Reporting Framework indicators are to a third-party external assurance process.